Azov, Bataysk, Belaya Kalitva, Volgodonsk, Gukovo, Donetsk, Zverevo, Zernograd, Kamensk-Shakhtinsky, Konstantinovsk, Krasny Sulin, Millerovo, Morozovsk, Novocherkassk, Novoshakhtinsk, Proletarsk, Rostov-on-Don, Salsk, Semikarakorsk, Taganrog, Tsimlyansk, Shakhty. 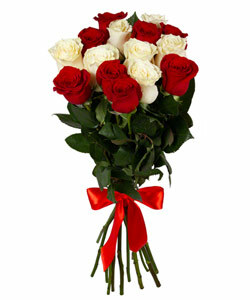 Megaflowers offers the quickest flower delivery to Rostov-on-Don, Russia on the online market today. We can reach any location in Rostov-on-Don in less than a day, and we can actually deliver your roses, tulips and lilies the same day as long as the order is completed before 10 am. Megaflowers has a wide diversity of bouquets that can match any special occasion. Our floral arrangements are tailored to various themes and emotions that can surely meet the demands of every client and be welcome at any celebration. When the birthday of someone dear to you is approaching, or when you are looking for flowers for Valentine’s Day, what a better way to celebrate the event than by ordering flower delivery to Rostov-on-Don , directly at her doorstep? Hiring someone to deliver flowers and chocolate to her home is the supreme gesture of love for the Valentine’s. Few women have this privilege and most of them don’t even believe it will ever happen to them. They have only seen it in movies. This is the main reason why all of them cry when we show up at their door. They can’t believe someone loves that much to hire a specialized flower delivery service to bring them a gift. Send flowers to Rostov-on-Don using our highly intuitive website, which makes custom bouquet creation a simple walk in the park. Our staff is also available 24/7 to help you place your order and take your detailed instructions. Our service is precise, prompt and tailored on customer’s needs. 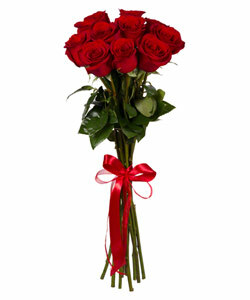 Don’t let distance ruin your relationship, and use flower delivery to Rostov-on-Don today. Let us make a gift of flowers that is sure to revitalize her feelings and add a spark to your relationship. Did you know that most women prefer flowers from all the gifts? Why wait - send flowers to your special lady today!